It's coming to that time of the year when I organise our family annual ski holiday in New Zealand. We are huge fans of the stunning Queenstown-Wanaka region. If my budget was unlimited where would I stay? My key factors are location (scenic, close to ski fields, shopping etc) and facilities (luxury rooms, restaurant with delicious cuisine, hot tub etc). I spent an afternoon armed with my trusty laptop and searched the internet for outstanding accommodation in Queenstown/Wanaka region. 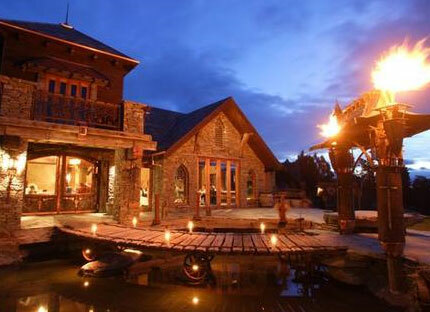 There is some exceptional places to stay in this breathtakingly beautiful part of New Zealand. The Spire is an award winning luxury boutique hotel...say no more. 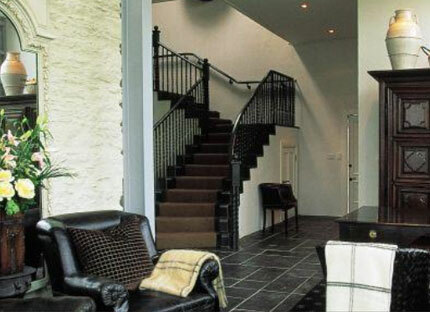 The photos showing the luxuriously modern guest suites had me at moment I arrived at the website. Great central Queenstown location. The attention to being child friendly on the website was also a real winner for me. I say a big "Yes, PLEASE!" to The Spire Hotel Queenstown. Only 45 minutes drive from Queenstown is The Lodge at Blanket Bay, which is acknowledged as one of New Zealand's finest. The heart-stopping views of the lake and mountains make the drive worth it. So you may need to drive for an hour plus to get to a ski field, but why bother with the ski fields if you can afford to heli-ski. Blanket Bay is the definition of luxury. I can imagine many-a-husband being chuffed with themselves as they fly fish right next to their accommodation, and I dare say they would be all the more relaxed knowing the wives are 45 minutes away from the shops! Location, location, location. 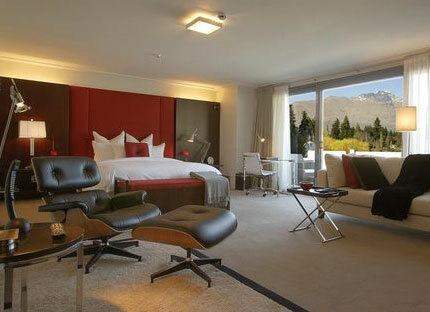 Eichardt’s Private Hotel is situated in the very heart of Queenstown, right on the lakefront. Close to a wealth of fantastic restaurants and some of the finest international shopping labels. You may not want to leave Eichardt's however because this hotel has a GREAT bar, amazing views of the lake and surrounding mountains. Reading the rave reviews on TripAdvisor just made me want to visit Eichardt’s Private Hotel all-the-more. One word: "Amazing". Whare Kea is nestled in the Southern Alps and looks, dare I say it, perfect. You may not be walking down to the nearest shops, as it is isolated, but it is absolute luxury nestled amongst the mountains. The "100% Powder & Paradise" package looks like a dream. I didn't even know we had accommodation packages this outstanding in New Zealand. You may have noticed the impressive schist rock Lodge and Cottage of Stoneridge Estate if you have driven into Queenstown along Statehighway 6. A lovely location with spectacular views, close to Queenstown and Arrowtown. The website of Stoneridge Estate has done a great job of showing everything that this place has to offer, right down to professional photography of the food. 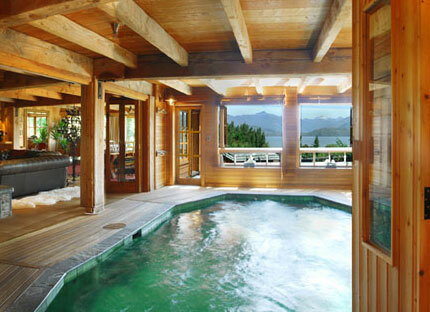 I love the sound of relaxing in their rustic hot tub under the stars while taking in the majestic alpine terrain. 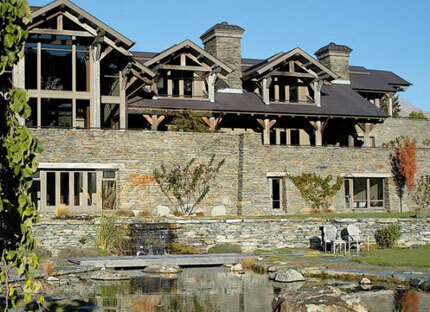 Imagine yourself in a stunning, luxurious, ecologically pure lodge on the edge of Lake Wanaka with breath-taking views. 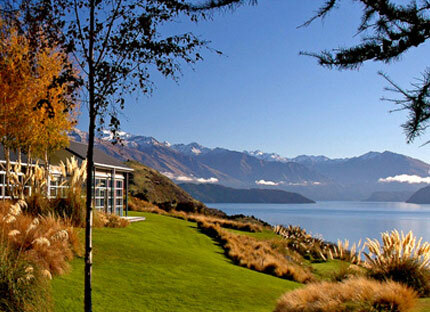 Wanaka Lakehouse delivers on location and facilities. Also very family friendly. I'd encourage you to visit their website for yourself. Looking for a place right on the mountain? 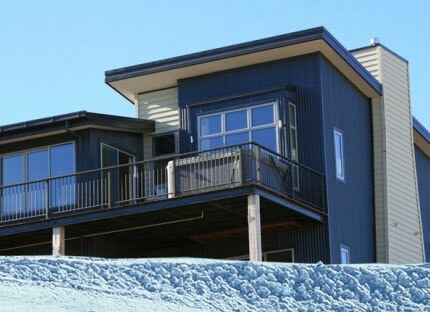 If halfpipes and quarterpipes are your thing then I don't think you could go past the apartments at Snow Park NZ, which offer true ski in/ski out accommodation. 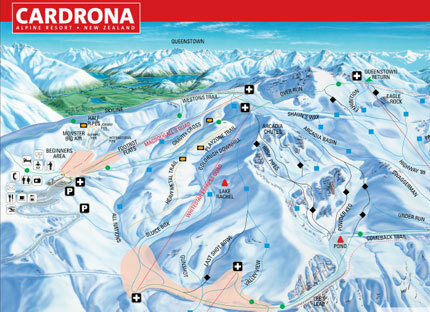 What it lacks in luxury, Cardrona makes up for in location. This is my favourite New Zealand ski field. Ideal for families and even the young shredders with it's halfpipe and park. The apartments are basic but the price reflects this. I think this is a great option for a holiday with friends or family if your main propriety is actually getting out on the snow. Combine a majestic location of unparalleled grandeur with outstanding facilities and you have Millbrook Resort, Queenstown. If you play golf you'll absolutely love staying here. There are too many facilities onsite to list, but I will mention for the ladies reading this that there is a day spa. The only negative is that there were certainly some very mixed reviews on Trip Advisor for Millbrook. 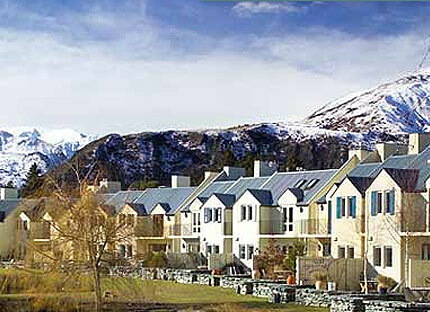 Minaret Lodge is a sanctuary, set in a 2 acre park-like setting, providing Wanaka luxury accommodation. Their current website is a tad old fashioned but I think their rave reviews on TripAdvisor make up for that. Personally, I like my sense of space so I like their uniquely constructed chalets. 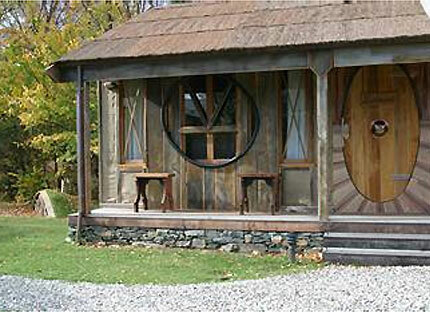 For Lord of the Rings enthusiasts they offer accommodation in their unique themed room 'Barlimans'! Awesome summary of some places to stay in Queenstown/Wanaka. My top choice would be Whare Kea Lodge & Chalet!